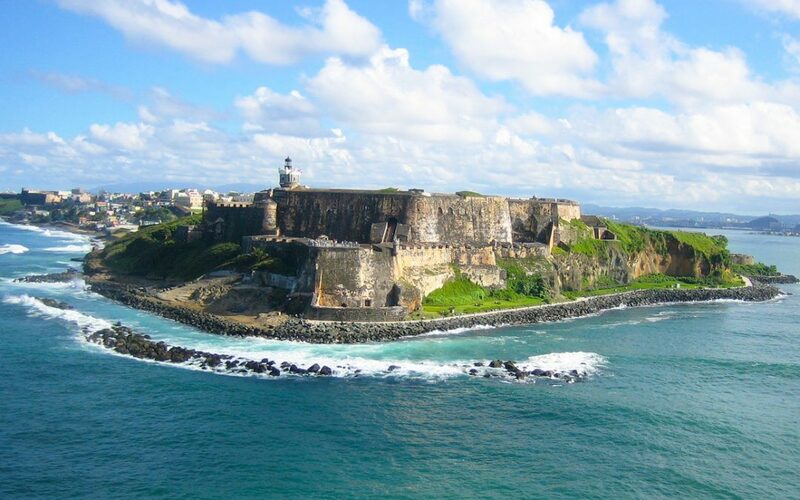 Puerto Rico has much to offer first time guests as well as repeat visitors. From the beautiful beaches, nature trails, restaurants, nightlife, to the historical sights, there is something for everyone. Many people have already visited the island, currently averaging 3+ million visitors per year, but many others still haven’t. We have compiled tips that can be useful for first-time and repeat visitors alike. Puerto Rico is a United States commonwealth and as a result traveling to Puerto Rico for Americans is very easy compared to other Caribbean destinations. The United States Dollar is the primary currency utilized throughout the island. Many U.S. mainland banks have branches or partners on the island. You are most likely to find your financial institution’s branch around San Juan. Most merchants accept major credit cards with the exception being street vendors. American citizens and legal residence do not require additional visas or permits to visit the island. If visiting from another country, the same visa rules apply for visiting Puerto Rico as anywhere else in the United States. You can read more about this in the follow-up article; Thinking About Traveling to Puerto Rico from the U.S? You Might just need your ID. Puerto Rico has similar weather year-round. The temperature is usually between 70 and 80 degrees Fahrenheit with regular showers. Rainstorms usually pass quickly so we encourage visitors to carry an umbrella or rain poncho. Do not be discouraged if it starts raining, it most likely will not last long. Depends on where on the island you are planning to visit and the type of trip you would like to have. For the majority of activities in Puerto Rico visitors can wear comfortable clothes and shoes to walk including bathing suits and sandals. If wearing a bathing suit we recommend bringing something light to wear on top if entering a more formal setting such as a restaurant or if it gets cool as the sun sets. If you are planning to spend more time around San Juan, especially visiting restaurants and enjoying the nightlife, we recommend bringing at least one nicer outfit as some higher-end places enforce a dress code. The sun is hotter in the Caribbean than anywhere in the continental United States. Unprepared tourist leave the island with their skin bright red often and bad sunburns can take weeks to heal. We recommend bringing sunscreen, sunglasses, a hat, and protective clothing especially if planning to spend the majority of the time outdoors. Water is generally safe to drink and electrical outlets are the same as the United States. We recommend reaching out to your host/hotel and ask them about the condition of the water before drinking it. ¿Como estás? – How are you? Where Is – ¿Dónde es? What time is it – ¿Qúe hora es? How far is…? – ¿Cúal lejos queda…? ¿Cuanto Cuesta? – How much does it cost? ¿Qúe calle es? – What street is it? Part 2 of 3 in August will feature specific information about accessing the island .